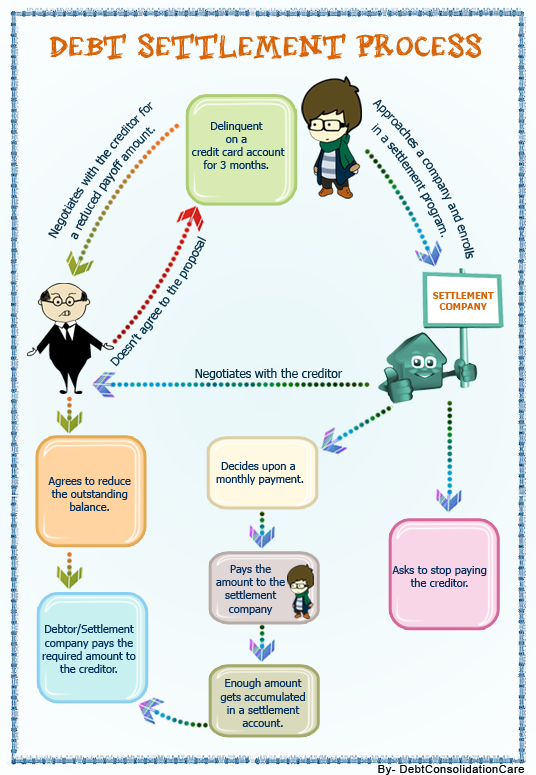 This infographic explains the debt settlement process in the step-by-step way. Check out the debt settlement infographic and understand how it helps debtors to settle their debts. Know what happens at each step of debt settlement before enrolling into the program.